Often it makes sense to display a selction of videos within a webcast project. 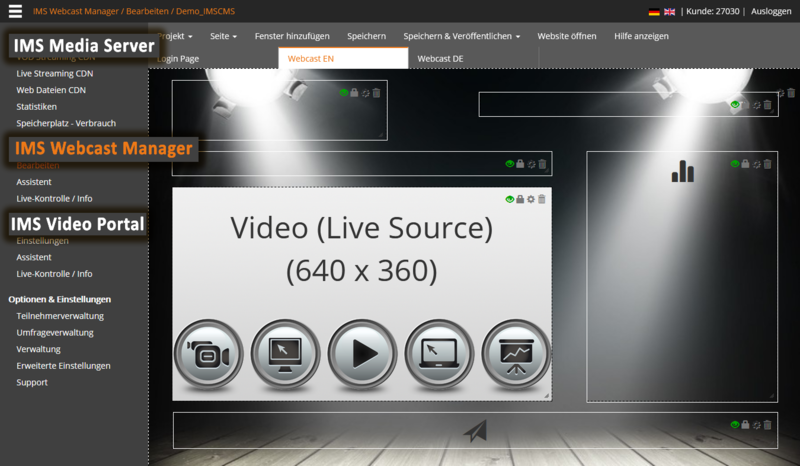 The new webcast module makes it now quite simple: Define window size, select the desired video directory on your IMS Media Server, adjust the order and name, publish project – done! The new CMS “Polls / Tests” module allows you to create and manage questions. These can in turn be displayed with the function “Live Sync” in sync with the live stream, regardless of buffer times and latencies. As an alternative to the live operator-controlled display of questions, the participant can also be allowed to navigate himself question-to-question. With the extension “Test” every survey can be extended by a result (right / wrong) as well as by a punctuation and evaluated accordingly. 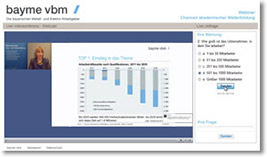 Together with the CMS module “Login / Registration”, extensive live examinations or assessments can be carried out. The results can be evaluated personally and displayed graphically as well as exported as an xls file. Supplemented by login data, participation can be documented and the level of performance can be documented and possibly rewarded with grades or points. Learn more about the new IMS CMS. 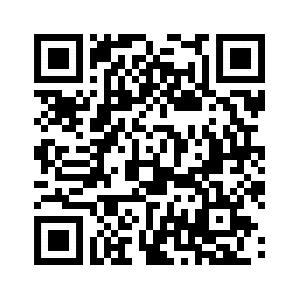 The new function “Generate QR code” allows the audience to participate in a survey, on side, during an event. To do this, participants can use their own mobile phones to scan a QR code (displayed, for example, as part of the presentation or invitation) and participate in the survey. Try it yourself. With just a few clicks you can also publish complex webcast requirements with customized landing pages. The possibilities to enhance live streams or on-demand video with meaningful content are almost unlimited. Password protection, user registration with invitation management. interactive modules, chat, surveys, tests, links, pictures, texts, and much more. can be easily inserted even without programming knowledge. Convince yourself of the many possibilities to create, publish and control webcast projects. You can create a free 30-day trial access here. With the IMS Re-Stream, we offer the option of forwarding a live stream to any video server or social media platform, thus enabling additional distribution of your webcast. For this purpose, a live stream sent to our IMS Media Server will be transmitted server side – directly from the IMS data center – to any other live streaming server or video- and social media platforms. Once a live stream has been produced, it can be published on any other platforms and networks without additional production-, encoding- and uploading effort. Live stream participants often have a limited Internet connection for a variety of reasons. Thus, e.g. several employees of a company load a otherwise sufficient Internet connection by the simultaneous Download of Streaming packages strongly. This in turn can lead to the fact that videos are often not delivered in the optimal quality, or even jerking and nachpufffern. In order to offer the best possible video quality to all participants in a live webcast, webcast producers had to encode several live streams on site and send them to the streaming server. This was not only an increase in technical effort, but also required a correspondingly strong upload connection at the event location. With the new function it is now possible to encode a live signal once (1x) in the best possible quality on site and send it to the IMS Media Server network. There, the stream server is encoded in real time in wider bandwidths (transcoding). The IMS Player constantly checks the quality of the Internet connection of the viewer and, depending on this, retrieves the best possible video quality and size from the streaming server. 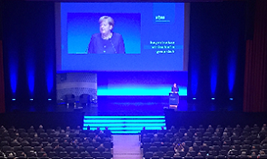 vbw – Association of the Bavarian Economy e. V. welcomed the Federal Chancellor Dr. Angela Merkel on the 39th Bavarian Economic Talk. 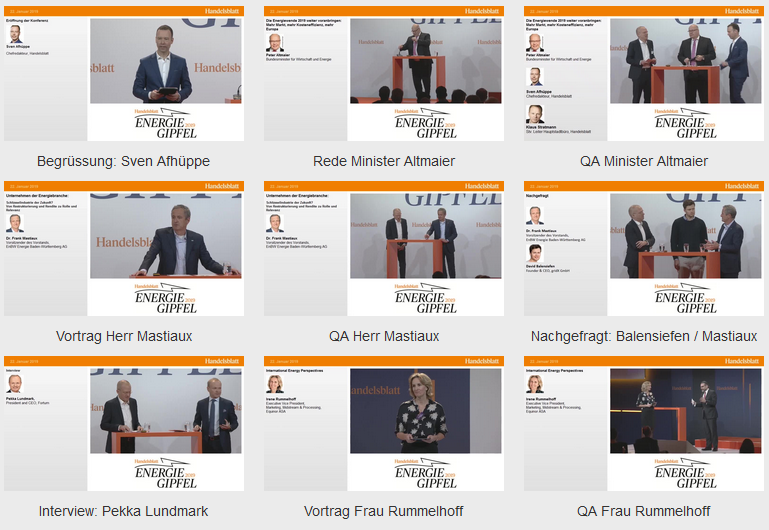 IMS – Webcast Productions produced in cooperation with mbw | Medienberatung der Wirtschaft GmbH produce the entire event as a Livestream and publish it worldwide on the Internet. Under strict security precautions, we were able to produce the IPBES (United Nations) conference as a live webcast from the former plenary hall of the Federal Republic of Germany in Bonn. More than 100 international government representatives discussed the opportunities and risks of climate change and biodiversity. The worldwide available live stream was viewed by participants from 36 countries in Europe, Asia, the Americas and the Pacific. IMS provides VCW (Video Conference Webcast) services for publishing video conferencing signals on the Internet and Intranet. Many companies already have a professionally equipped media or conference room, including audio/video equipment, presentation technology and a video conferencing system. However, the distribution of the video or the video+powerpoint presentation is usually limited to a small number of connected subscribers, who can only view the feed through equipment which is technically compatible with the video conferencing system. Using the IMS solution, a video conferencing signal can be made available to an unlimited number of users – worldwide, in top HD quality and, above all, without requiring special software or hardware equipment. The stream can be accessed directly, or with password protection, from any PC or mobile device connected to the Internet. 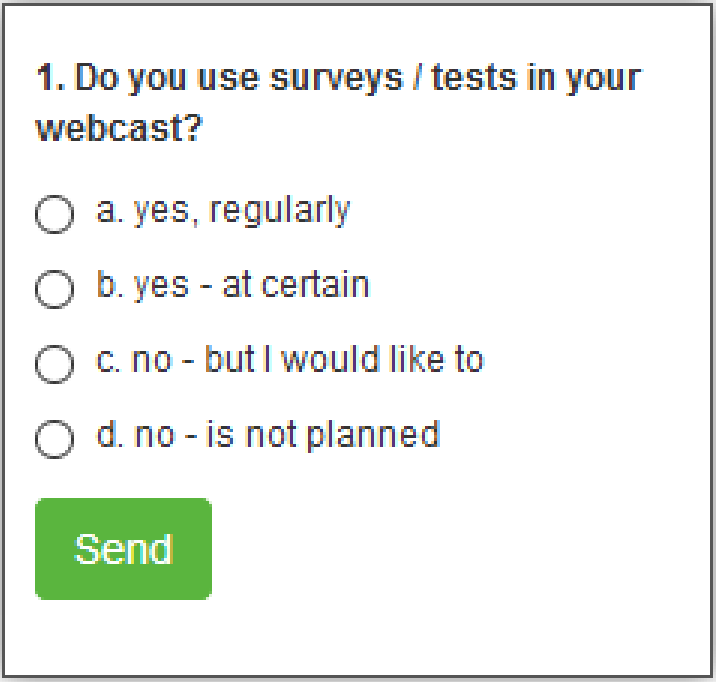 Turn your video conference a webinar, or take advantage of many interactive webcast features by adding live chat, surveys, links, or download options to the video stream. Technically, the video signal can be sent to our server system or fetched from it and made available on the Internet. The video can also be linked to any dynamic or interactive web elements in a microsite created with the IMS-Webcast Manager. In addition to video streaming servers and webcast software solutions, IMS also offers full support, right up to the Full Services Management of your video conferencing webcast projects. 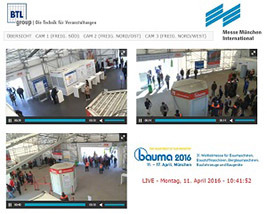 A new functionality of IMS-Streaming & Webcast Services allows RTSP signals, e.g. from monitoring and IP cameras, to be processed during the Push or Pull procedure, and to make them available as an HLS or Flash stream. Publishing as an IMS Webcast Manager project allows the simultaneous representation of several signals and the unrestricted integration (via link or copy&paste code) of these in any web pages. Unlimited access: By default, an IP video signal is called directly from the camera and thus at the expense of the Internet connection at the camera location. Each call burdens this connection and thereby inhibits all other applications which are also dependent on that connection. Calls to our streaming server network, on the other hand, are possible worldwide and unlimited. Interactivity and many other functions such as login, registration, chat, messaging, surveys, polls, download options or links.